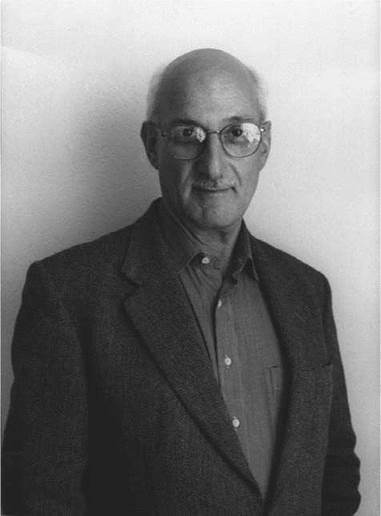 David Malouf. Malouf, David George Joseph, photograph. © by Jerry Bauer. Reproduced by permission. David Malouf enjoys a distinguished reputation, nationally and internationally, as a writer whose lyrical mappings of identity, place, and the body also bear upon questions of belonging and national identity. Crossing successfully from poetry to prose fiction in 1975, Malouf continues to write in a wide variety of forms and genres. A Place of Return. David Malouf was born in Brisbane, Australia, in 1934 into a family of mixed British and Lebanese ancestry. Malouf’s writing does not explicitly treat issues of ethnic minority or difference but instead draws upon European heritage in ways that engage primarily with the white mainstream of Australian literary culture. After graduating with honors from the University of Queensland in Australia, Malouf departed for England, where he worked as a teacher from 1959 to 1968. On his return to his home country, Malouftook up a teaching post in the department of English at the University of Sydney, where he taught for the next ten years. During this decade Malouf not only developed an increasingly sophisticated body of poetry but he also made his mark as a novelist with the publication of Johnno in 1975. Reviewers heralded this first novel as an innovative contribution to Australian writing, and thereafter Malouf’s novels evolved in confidence, breadth, and complexity, ultimately earning him an international readership and reputation. Europe Translated. Upon winning a three-year fellowship from the Literature Board of the Australia Council in 1978, Malouf retired from teaching to commit himself full-time to writing. To date, Maloufis the author ofat least six volumes of poetry, several editions of selected poems, six novels, two novellas, three short-story collections, many autobiographical and prose nonfiction publications, a series of libretti for opera, and an original play. Guy Debord (1931-1994): Debord was a French author and Marxist philosopher best known for his book Society of the Spectacle. Mikhail Gorbachev (1931-): Gorbachev was the last leader of the Soviet Union, serving from 1985 until its collapse in 1991. Joan Didion (1934-): Didion is an American writer well known for both her novels and her essays. Jill Ker Conway (1934-): Conway is an Australian-born author who served as Smith College's first woman president from 1975 to 1985. Halina Poswiatowska (1935-1967): Poswiatowska was a Polish poet who is considered one of the most important writers in modern Polish literature. A Lapse of Memory (1907), a novel by Victor Segalen. This novel explores the nature of traditional Tahitian culture by depicting the rise of Christianity on the island and the subsequent destruction of traditional religion. Chaka (1925), a novel by Thomas Mofolo. This novel, based on the life of Zulu warrior-king Shaka, or Chaka, is an epic tragedy that depicts traditional African culture prior to the rise of colonialism and Christianity. Strandloper (1996), a novel by Alan Garner. This novel tells the story of William Buckley, who is transported to Australia, escapes, becomes an Aboriginal lawgiver and healer, and returns to England thirty years later. Malouf’s authorial range demonstrates unusual versatility, but his writing also exhibits remarkable consistency in approach, preoccupation, and style. Malouf advocates ‘‘a convergence of indigenous and non-indigenous understanding, a collective spiritual consciousness that will be the true form of reconciliation’’ in Australia. Malouf’s writing maps encounters between self and other, tensions between exile and home, and relations between the individual and history—issues holding particular resonance for contemporary Australians. The transformations that, in Malouf’s writing, are deployed to resolve these encounters—via death in the landscape, absorption into the other, experience of the limitless body, and immersion in the sacred—suggest the writer’s belief in the efficacy and relevance of art, not merely as a powerful mode of expression but also as a strategy of belonging. The ‘‘Noble Savage”. Malouf’s best-known work is the multiple award-winning Remembering Babylon. Updating the theme of the ‘‘noble savage,’’ Remembering Babylon (1993) is set in nineteenth-century Australia and concerns Gemmy Fairley, an English citizen who is abandoned after making the crossing from Europe as a child. After living with the Aborigine people of Australia for a sixteen-year period, this ‘‘black white-feller’’ attempts to rejoin white Australian society, a community governed by European cultural norms and the English language. Variously regarded by some settlers as a curiosity, a potential ally against the Aborigines, and an object of scientific wonder, Gemmy is also viewed with fear, loathing, and distrust. His initiation into white society, particularly after he is seen conversing with blacks in the Aborigine dialect, culminates with several settlers attacking him. Eventually he abandons the ‘‘civilized’’ ways of the whites and rejoins Australia’s indigenous community. Observing both the gravity and inventiveness of Malouf’s poems—their often ‘‘anecdotal starting point’’ and their ‘‘sense of intellectual searching’’—Thomas W. Shapcott argues that ‘‘process is centre-stage in Malouf’s poetic world.’’ Malouf’s poems sometimes prefigure his fiction, especially in their recourse to meditation and the resources of memory. As Philip Nielsen points out, ‘‘The Judas Touch,’’ an early poem dedicated to ‘‘John Milliner: drowned February 1962,’’ foreshadows Malouf’s first novel, Johnno. Likewise, Laurie Hergenhan shows how elements of ‘‘The Year of the Foxes’’ prefigure elements of Malouf’s later fiction. Experiments with the Novel Form. Malouf’s novels do not merely repeat the preoccupations of his poetry in another form, they also experiment with the novel as form, playing with its temporal constraints and possibilities. The intimacy of the poet’s voice is modulated by the linear drive of narrative. Through the novels, Malouf explores intimate personal terrain in ways that dramatize questions of Australian history and national identity. Maloufs exploration of monumental or emblematic episodes in Australian history, however (World Wars I and II, for example) is never directed by a strongly ‘‘historical’’ focus but proceeds by means of subjective experience and encounter. The linear thrust of history is interrupted and slowed by the personal experience of time and the expansion of the narrative. In Malouf’s novels, recurring scenarios cumulatively produce an elaborate network of ideas. These thoughts include, for instance, the narrated recollection of place (particularly of domestic interiors); the playing out of a dynamic between male alter egos or twinned characters (such male pairings are often triangulated by the inclusion of a third, female character); and exploration of the figure or role of the artist. Malouf’s writings have been generally well received by both critics and readers. Literary scholars have focused on the postcolonial nature of his works, particularly his themes of personal and cultural identity, language, and nature. He has received praise from reviewers for his vivid, sensuous descriptions and evocative settings of his works. Shortlisted for the Booker Prize in 1993 for Remembering Babylon, Malouf has been the recipient of many prestigious awards for fiction, poetry, and drama. 1. Some commentators have noted that Malouf is first and foremost a poet. In what ways do his poems influence his novels, and how do the concerns expressed in his novels show up in his poems? 2. Malouf makes use of the ‘‘noble savage’’ concept in his novel Remembering Bablyon. In what ways does this concept show up in his other works? Does he seem to have a generally sympathetic or generally critical view of the ‘‘noble savage’’? Can you compare his treatment of Gemmy to other characters from literature or film? 3. Malouf’s writing explores the relations between individuals and the history through which they have lived. In what ways do you as an individual feel influenced by the history you have lived through? What events have had the largest subjective impact on you? 4. Maloufs Remembering Bablyon was criticized for privileging white experience over Aboriginal history. Write an argumentative essay that either supports or opposes this criticism. 5. Malouf’s novels make use of descriptions based on his characters’ recollections of certain places, particularly domestic interiors. Using only your memory, write a descriptive passage about a place that you feel you know well. If possible, return to this place after completing the piece to compare your recollection to reality. Ashcroft, Bill. Post-Colonial Transformation. London and New York: Routledge, 2001. Hodge, Bob Vijay Mishra. The Dark Side of the Dream: Australian Literature and the Postcolonial Mind. North Sydney: Allen & Unwin, 1990. Indyk, Ivor, ed. David Malouf: A Celebration Canberra: National Library of Australia, 2001. Nettelbeck, Amanda, ed. Provisional Maps: Critical Essays on David Malouf. Nedlands, Australia: Centre for Studies in Australian Literature, 1994. Nielsen, Philip. Imagined Lives: A Study of David Malouf. St. Lucia, Australia: University of Queensland Press, 1996. Carr, Julie. ‘‘The White Black Fellow.’’ In Island (Spring 1993). Greer, Germaine. “Malouf’s Objectionable Whitewash.’’ Age (November 1993). Griffiths, Gareth. ‘‘An Imaginary Life: The Post-Colonial Text as Transformative Representation.’’ Commonwealth (1993). Hergenhan, Laurie. ‘‘Discoveries and Transformations: Aspects of David Malouf’s Work.’’ Australian Literary Studies (1984). Ingram, Penelope. ‘‘Racializing Babylon: Settler Whiteness and the ‘New Racism.’’’ New Literary History (2001). Kinnane, Garry. ‘‘Mutable Identity and the Postmodern.’’ Meanjin (1998). Leer, Martin. ‘‘Imagined Counterpart: Outlining a Conceptual Literary Geography of Australia.’’ European Perspectives: Contemporary Essays on Australian Literature—Australian Literary Studies, special issue (1991). Perera, Suvendrini. ‘‘Unspeakable Bodies: Representing the Aboriginal in Australian Critical Discourse.’’ Meridian (1994). Pierce, Peter. ‘‘What Dreams May Come: David Malouf’s Dream Stuff.’’ World Literature Today (Autumn 2000). Spinks, Lee. ‘‘Allegory, Space, Colonialism: Remembering Babylon and the Production of Colonial History.’’ Australian Literary Studies (1995).